A culture of innovation can only be achieved by willingness to invest in experimentation and tolerance of failure — something that Air Force’s Plan Jericho has delivered against in a new capability for emergency services. Plan Jericho is about exploring and exploiting new aircraft technology and information systems to make cooperation and reuse of information easier with other government agencies to meet government warfighting and civilian aid requirements. Not every effort thus far has panned out, but one team’s off-hours tinkering turned into a new capability using an older platform that will help state emergency services efforts in a way that wasn’t available before. It was just the type of bottom-up innovation and experimentation the top brass were trying to encourage. Operators of the AP-3C Orion aircraft within Air Force’s Surveillance and Response Group adapted an existing military surveillance video technology for use outside the classified networks, such as by state and federal emergency services. The Orion is an older aircraft, not one typically looked to for creating new capability. At the recent Air Power Conference, Group Captain Phil Champion demonstrated the results of the improvements by streaming full motion video from one of his aircraft, live, during his presentation. The aircraft is equipped with modern sensors and normally performs surveillance over land and sea, search and rescue operations, and air warfare against submarines and ships. These systems previously could only stream full motion video into military networks using specialised military communications equipment into classified computer systems. As the aircraft often performs short notice tasks for humanitarian aid and disaster relief, operators recognised the need to adapt the purely military capability to provide an unclassified video feed that could be streamed to fire and rescue services, and non-government agencies. Champion explained that this spawned from “very smart people,” splicing wires at the back of an aircraft and using experimentation to prove that the concept could work. Tackling the problem from an end-user perspective to produce a workable capability required a culture of bottom-up experimentation and adaptation of technology. Champion said that his wing will soon have new technologies such as the P-8 Poseidon and MQ-4C Triton unmanned aircraft that are a step-change increase in technology, but that the technology alone won’t deliver maximum capability. “[Projects deliver] the equipment, facilities and quantitative aspects, but it won’t deliver the innovative cultures and mindsets required to enable those capabilities … we have to do that ourselves,” Champion said. The group captain considers that innovation is not simply about experimentation to meet current day needs, it necessary to expose the workforce to the new technologies and to create the environment necessary to encourage innovative thinking that will allow exploration of the full extent of those systems. He emphasised the importance of balancing the three themes of Plan Jericho: 1. harness the combat potential of an integrated force, 2. develop an innovative and empowered workforce, and 3. change the way we acquire and sustain capability. The second theme of Jericho focusses leadership on the empowerment of the workforce to innovate, which can only be achieved if there is a willingness to invest in experimentation and to tolerate failure when it doesn’t pan out the way that was expected. 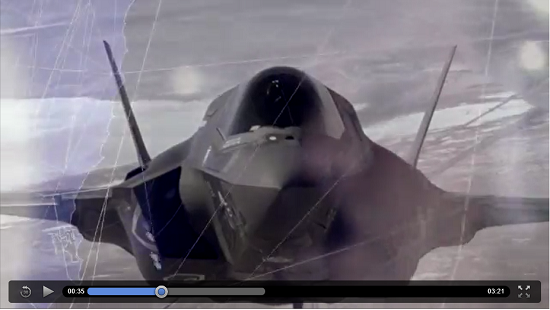 Click through to watch how Plan Jericho extends a proud history of Air Force innovation. An innovation that sought to deliver improved situational awareness link capability could not be made to work in the window of opportunity for innovation resources. “Knowing where to innovate I think is as important as knowing how to innovate … to actually target your limited resources to where innovation is really going to give you that ‘quick kill in warfighting’ and tactical effectiveness,” said Champion. When the window of opportunity for innovation expired, Champion’s team immediately set to exploring alternate solutions and discovered that there was an alternative approach that would deliver 90% of the capability that was required – and very quickly. During World War I, aviation end-users drove much of the technological development of air surveillance using photograph through experimentation as described by Maryam Philpott in her book Air and Sea Power in World War I.
Aerial observers had the job of recognising the terrain they were flying over, identifying enemy emplacements and the features that would be of strategic value to ground forces who had the job of advancing and defeating the enemy. However, sketching notes on a knee pad while also trying to simultaneously fly the aircraft and take note of their position only resulted in inherently unreliable information and would prove to only be of limited value. A great hunger would emerge from ground forces for accurate pictures of enemy positions and movements to aid in the prosecution of the ground war. No. 3 Squadron of the Royal Flying Corps were among the first to recognise that camera technology could be adapted to serve this function. When their supply requests were not fulfilled, the squadron resorted to buying their own cameras and experimented with the technology to try and work out whether it could enhance the observation role of aircraft. Despite not knowing the best way to use cameras for this new application, trial and error led to development of the aerial map, which proved to be an invaluable source of intelligence about terrain and enemy movements. The experimentation of cameras by pilots and observers drove improvements to the technology during the war to deliver air aerial maps and photographs. While the war itself contributed greatly to a culture that tolerated experimentation and risk of failure, the challenge most organisations face today is to replicate and value the imperative for innovation and results. Throughout the history of aviation, and since World War I, experimentation and innovation have proven to be potent tools to test ideas and push the boundaries of what existing capability can deliver. While experimentation and innovation come with a risk of failure, the results from Plan Jericho thus far have provided substantial return on investment. As the Air Force will progress into the step-changes in aviation technology that will be introduced over the next decade, the framework should provide the solid foundation needed to prepare the workforce to explore and exploit these new capabilities. Top photo: Department of Defence. A No. 92 Wing AP-3C Orion aircraft soars through the clouds during a training sortie. Vince Chong is a professional engineer and project manager, with almost 20 years of experience in public sector procurement, project and management roles.